East Africa: Are East Africa's Business Laws Scaring Away Potential Investors? 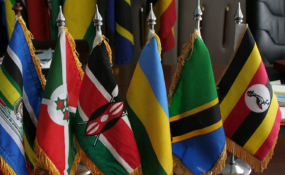 East African Community (EAC) is an intergovernmental organization composed of six countries in the African Great Lakes region in eastern Africa: Burundi, Kenya, Rwanda, South Sudan, Tanzania, and Uganda. East Africa's regulatory environment and its investment policies are blamed for dampening investor interest, leaving local and foreign firms contemplating closure of operations. Last week, Kenya ordered Africa's largest soda ash manufacturer, Tata Chemicals Magadi Ltd, to shut down its depot in Kajiado County for alleged contravention of environmental laws by the firm, which has operated in the country for 107 years. The rift between Tata Chemicals and the Kajiado County government is to blame for this outcome, after Tata said it could not pay a hefty Ksh17 billion ($170 million) in land rates. The closure of the Magadi-based depot is expected to paralyse the firm's operations as the trans-shipment facility is used as a packaging centre for soda ash and other raw materials in transit to Mombasa port. "We cannot have a multinational that wants to choose which laws it will comply with. All our investors have been complying. We have no preferential treatment for anyone and must correct the impunity of the past," said Joseph ole Lenku, Kajiado County Governor. Last year, a British gold mining firm, Red Rock Resources Plc, announced it would resume production of gold estimated at more than Ksh100 billion ($1 billion) in Migori, western Kenya, after settling a court case with the Ministry of Mining, which had terminated its mining licence in May 2015. Red Rock has a direct interest in the local operation through a 75 per cent shareholding in Mid Migori Mining Company Ltd, which controls 1.2 million ounces of gold resources in Kenya. "This settlement we hope will open the way for renewed progress towards our aim of having a productive gold mine. Our desire, and that of the authorities and local communities, is to see work towards this recommence without delay," said Andrew Bell, Red Rock chairman. Goldplat, another UK-based gold mining firm, last year applied for a renewal of its exploration permit amid a dispute over the government's award of a gold prospecting licence to Chinese firm Bao Gold Hill (Kenya) Ltd in an area claimed by the UK firm. Goldplat said it had the right to prospect for the precious metal in Block 91B covering 63.7 sq km, part of which was handed to Bao in August 2018. According to the US Agency for International Development, foreigners seeking to set up businesses in East Africa face a number of restrictions, that can dampen their appetite for investing. Some EAC member states have adopted restrictive investment policies that have forced some foreign firms to review their operations. In 2017, Australian mining company, OreCorp, announced plans to review its operations in Tanzanian after the country reviewed its laws to enable the government to renegotiate all mining contracts. Tanzania discourages foreign investment in selected aspects of telecoms, mining, shipping, fishing and civil aviation by imposing investment ceilings and difficult licensing requirements. Foreign firms seeking to invest in Tanzania's mining sector must be ready to cede a 30 per cent shareholding to the Tanzanian citizens. Tanzania's Electronic and Postal Communications (Licensing) Regulations also provides for 51 per cent local ownership for foreigners seeking a content services licence for free-to-air broadcasting. In the insurance sector, all insurers are required to set aside a 30 per cent stake for Tanzania citizens. "Tanzania's requirement for locals to hold at least 30 per cent of controlling interest in insurance companies may slow down or repel foreign investments," says USAid in its Investment Climate Assessment Report for Tanzania for the year 2018. According to consultancy firm PricewaterhouseCoopers, regulatory policy changes have had a mixed impact on the business climate and on investor confidence. Kenya's Investment Authority (KenInvest) says that regulatory reforms are key to removing the barriers to investment and continuous improvement of the business environment is important for countries seeking to benefit from increased trade and investment. Concerns by private investors in Tanzania include delays in value added tax and other tax refunds, delayed payments to contractors and suppliers and proliferation of regulatory authorities, licences, taxes and charges. "There are downside risks to economic growth in the short term stemming from slow budget implementation, a challenging business environment, and private sector concerns about authorities' enforcement of rules," said PwC. In South Sudan all businesses established by expatriates must be 31 per cent owned by locals. According to PwC, investors are finding it difficult to operate in Uganda due to the time and cost of accessing electricity, difficulties in obtaining construction permits, the relatively lengthy procedures needed to start a business compared to other countries and challenges of trading across borders with regards to the cost of importation. Uganda, however, allows for 100 per cent foreign-owned businesses, and foreign businesses are allowed to partner with Ugandans without restrictions. Foreign investors also have the right to establish and directly own businesses in any sector except crop and animal production. In Rwanda, the government has been more lenient to foreign investors by abolishing statutory limits on foreign ownership or control of local firms and avoiding any plan that discriminates against foreign investors. Local and foreign investors have the right to own and establish business enterprises in the country. Foreign nationals are allowed to own shares in locally incorporated companies and foreign investors can acquire real estate, though there is a general limit on land ownership. In Kenya, the telecommunications sector regulator requires that foreign firms that invest in the sector reserves 20 per cent shareholding for Kenyans within three years of receiving the licence while the new Mining Act (2016) restricts foreign participation in the mining sector. The Act reserves the acquisition of mineral rights to Kenyan companies and provides for 60 per cent Kenyan ownership of mineral dealerships and artisanal mining firms.